Let’s Go Skiing! | Children's Puzzles | Jigsaw Puzzles | Products | Let’s Go Skiing! Products > Jigsaw Puzzles > Children's Puzzles > Let’s Go Skiing! More than just a puzzle box. There are 3 puzzles and 3 mini posters to use for reference. We have created the perfect selection for your pint-sized puzzlers, featuring engaging designs and Ravensburger’s high-quality, child-friendly formats. Ravensburger 3 x 49 piece Puzzles are a fun way to train recognition, logical thinking, patience, and hand-eye coordination. Puzzle difficulty when chosen correctly, strengthens your child's self esteem and short term memory while having fun! 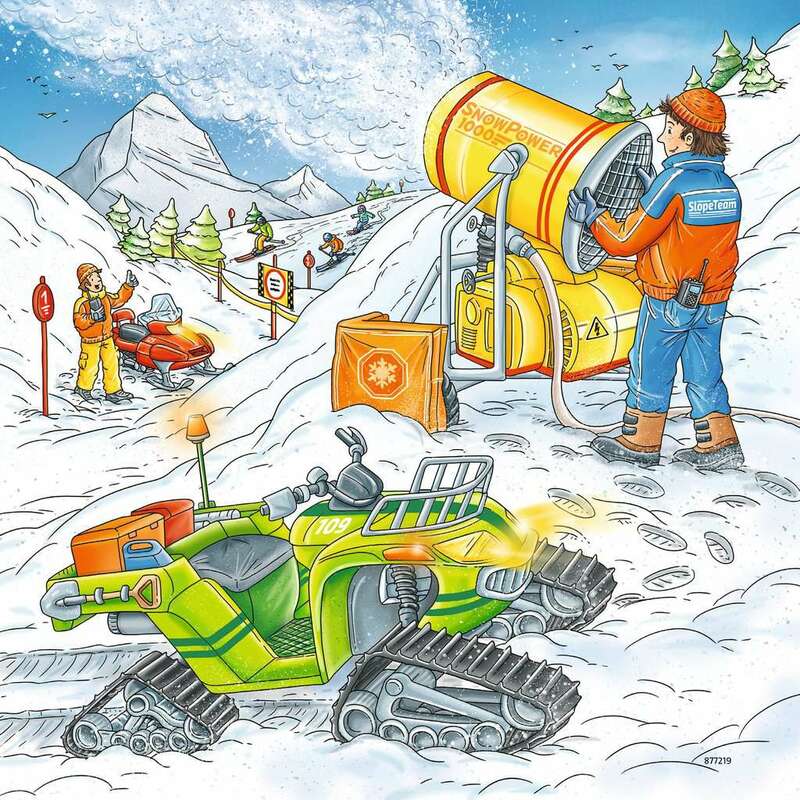 Assemble the pieces to reveal 3 scenes from the slopes including heli-skiiers, snow blowers, and slope groomers!